Save on our March special on a wide range of products. This is a great way to sample our free range, med free meats. Our house made sausages have always been a customer favorite. 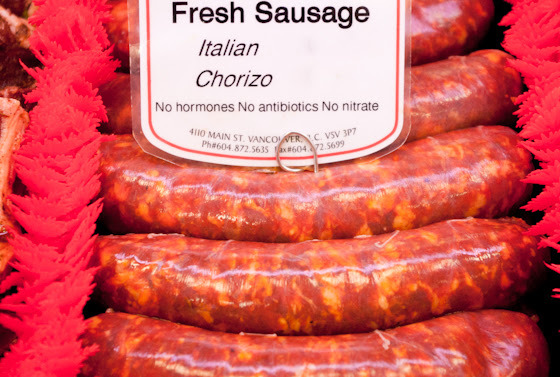 We use only the highest quality ingredients in all our sausages. SAVE $14 OFF OUR REGULAR PRICE! As these packs take some time to put together we recommend you call 24 hours ahead to order. You save yourself from having to wait when we have it ready for you to pick up. See the top of this page for hours and phone number. Don’t forget about our new Meat Club that gives you the opportunity to order in bulk and save even more money. 2) Use the contact form on our web site below.